ImageOptim is a front-end (GUI) for lossless image optimization tools: PNGOUT, AdvPNG, Pngcrush, OptiPNG, JpegOptim, MozJPEG, jpegtran, and Gifsicle. Images are made smaller (in terms of disk size) without losing quality, by recompressing them using the best combination of compression settings, better algorithms, and by removing optional, invisible information like comments. ImageOptim for Mac can be used for publishing images on the web (easily shrinks images “Saved for Web” in Photoshop). It's also useful for making Mac and iPhone/iPad applications smaller (if you configure Xcode to allow better optimization). Moreover, It removes EXIF meta­data, such as GPS position and camera's serial number, so that you can publish images without exposing private information (but there's an option to keep the meta­data if you need it). By default, ImageOptim is very cautious and exactly preserves image quality, but if you allow it to change the quality — even only a little — it will be free to use much more aggressive optimizations that give the biggest results. You can configure lossy optimizations in ImageOptim's Preferences. ImageOptim can apply lossy compression not only to JPEG, but SVG, anim GIF and PNG as well! You can get the same or better compression if you enable Lossy minification option in in ImageOptim preferences. Tools like ImageAlpha/pngquant/TinyPNG/JPEGMini/MozJPEG make files smaller by using lossy compres­sion which lowers image quality, which ImageOptim doesn't do by default, but can if you allow it. The ImageOptim app only works on Macs, if you seek for a compression tool for Windows you can try: FileOptimizer. Alternatively, you can use the online version of ImageOptim which can be accessed from your browser on any platform. Start at 9 USD/per month and includes 1,000 optimizations. 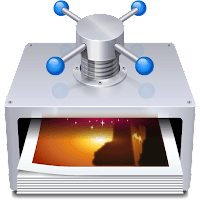 Disclaimer: Direct downloads for the lastest version of ImageOptim 1.7.2 for Mac are provided by the official software's author, we can't guarantee safety, availability or download speed. Moreover, we don't and we won't provide any pirated/illegal versions or tools. We recommend you to avoid it as these methods can harm your device. If you like the software, buy it to support the developers. (We provide software discounts for many worldwide brands).